Search data is now encrypted, fullscreen mode for OSX, improved HTML5 performance, bug fixes. “SOFTWARE DEVELOPER Mozilla has released Firefox 14 for desktop operating systems. Mozilla’s Firefox web browser has received its six-week update with Firefox 14 automatically encrypting Google searches and supporting the Pointer Lock API. Mozilla has also included support for fullscreen mode in Mac OS X 10.7. Mozilla said it encrypts Google search data by default, adding that users can now easily verify the identity of a web site by clicking on an icon to the left of the URL. According to Mozilla, the addition of search encryption is particularly handy for those using Firefox on wireless connections. Firefox 14 support of Pointer Lock will improve mouse control for internet based applications and in particular games, Mozilla said. It cited its own HTML5 Browserquest game as an example of improved performance. With HTML5 expected to become the markup language of choice for web-based games developers, it seems a very good time for Firefox to support it. 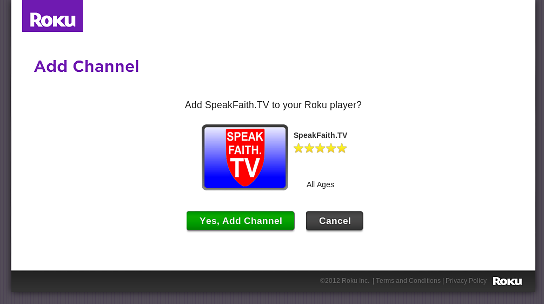 SpeakFaith.TV Goes LIVE in the Public Roku Channel Store! I know, this is a tech blog. But sometimes I like to share exciting things that are happening to me, personally… and, this is kinda techie. 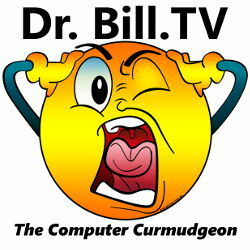 I designed, and published, a channel for the Roku box, and it was approved last night by Roku for their Public Roku Channel Store! Awesome! 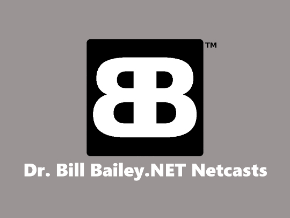 Click the image below, and if you have a Roku account, you can add it, and see what you think! It is a Christian teaching channel, with video and audio from Word of Faith Ministries in High Point, NC and Faith and Victory Church in Greensboro, NC. The tech involved in creating it was pretty cool! 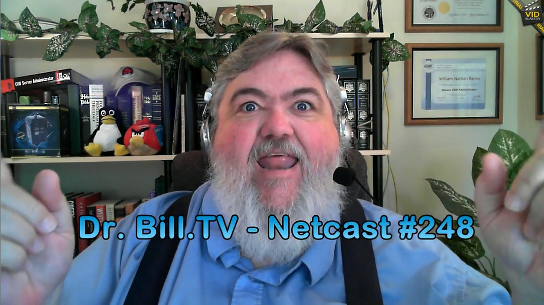 Stay tuned for a Dr. Bill.TV channel, which will be a private channel… coming soon! Geek Software of the Week: Free File Sync! What if there was an Open Source project that provided a file synchronization tool for both Windows OR Linux? 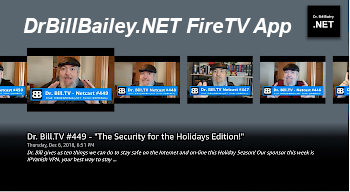 What if it was free, and allowed tweaking and updates to make your file directories, whether on USB sticks, the network, or local disk drives match each other? Well, here you go! Free File Sync! FreeFileSync is a folder comparison and synchronization tool providing highly optimized performance and usability without needless user interface complexity. Geek Software of the Week: Linux Edition! Everyone wants to be “Social”… at least they do right now. It is “the big thing!” But Office? Social? Okaaay! “Announced today, Microsoft’s latest Office suite will try to help users collaborate more easily through social media. Demoing the new version of Office at a press conference, Kirk Koenigsbauer, a corporate vice president for Office, showed a five-person video chat using Microsoft’s Lync application. In the demo, Koenigsbauer revealed how he could drag and drop someone from his buddy list into the live meeting. Another participant was able to drop a PowerPoint presentation onto the shared canvas for all to see. Koenigsbauer then showed how users could draw directly on the presentation via a touch-screen device, which then appeared on PowerPoint for other meeting participants. Since OneNote is integrated into Lync, users can share their notebooks with other people on the conference call and even take and display notes while the meeting progresses. Microsoft SharePoint is also joining the social-media party, offering a “cleaner, simpler” design that borrows the look and feel of its news stream from the likes of such social networks as Facebook, Twitter, and Yammer. That’s likely not a coincidence given Microsoft’s recent purchase of Yammer. UNLIMITED cloud storage for $2.00 per month! Yahoo hacked, GSotW: WinMerge! More Stupid User Tricks, Digg bought for only a 1/2 million, the summer Steam sale, Dropbox doubles it’s Pro offerings, a Korean company’s tiny quad-core ARM Linux computer. Need more power than a Raspberry Pi? Check out this quad-core! “Little Linux computers have attracted a lot of interest from hobbyists this year. The $35 Raspberry Pi ARM board, which met with huge demand when it launched in February, is a compelling solution for affordable embedded projects. But what if you need more power than the 700MHz ARM11 board can offer? A Korean hardware manufacturer called Hardkernel is launching a high-end alternative. 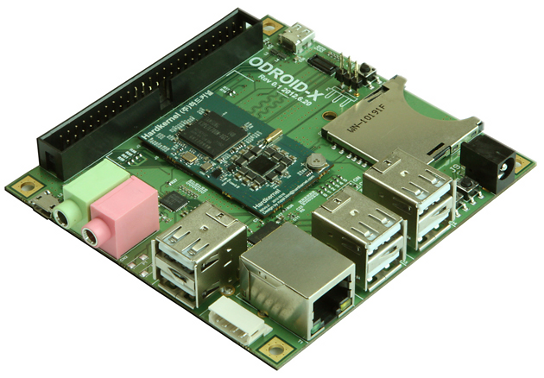 The company’s new ODROID-X board comes with a Samsung Exynos 4 processor, a quad-core CPU clocked at 1.4GHz. The board also has a quad-core Mali 400 GPU, 1GB of RAM, six USB host ports, an ethernet adapter, headphone and microphone jacks, and an SDHC card slot for storage. With four times as much RAM as the Raspberry Pi and a much more powerful processor, the Hardkernel board seems like a nice option for more computationally-intensive usage scenarios. The system is still highly compact, measuring at about 3.5 x 3.7 inches. Because the Hardkernel board is based on the Cortex-A9, which uses the ARMv7 architecture, it is capable of running the latest version of Ubuntu in addition to Android. Ubuntu doesn’t support the Raspberry Pi’s ARM11 architecture (the Raspberry Pi foundation recommends using Fedora on its board). Double the space at the same price! Pretty good. I think they are feeling the competition! “Dropbox on Tuesday announced an upgrade to its Pro plans that doubles the amount of storage without a price hike. The company also added a new, 500GB option. The move upgrades Pro users with 50GB and 100GB accounts to 100GB and 200GB, respectively. The 100GB option costs $9.99 per month or $99 per year, while the 200GB will run you $19.99 per month or $199 per year. Pricing for the 500GB tier was not announced. Get Your Game On With the Summer Steam Sale! Looking for deals on games, check out the limited time sale at Steam! “The PC game download service Steam has launched its annual summer sale, starting with huge discounts on popular games such as Portal 2 and Call of Duty: Modern Warfare 3. Every day through July 23, Steam will offer 24-hour discounts on a batch of new PC games. Today’s deals include Modern Warfare 3 ($30 instead of $60), Portal 2 ($5 instead of $15), Terraria ($2.50 instead of $10), and Legend of Grimrock ($6 instead of $15). In addition to the daily 24-hour deals, Steam will be running ‘Flash Sales’ on shorter time cycles. The deals available at the time of this posting include Mafia II ($7.50 instead of $30) and Deus Ex: Human Revolution ($7.50 instead of $30). Digg was once the “darling” of bidders and potential buyers, there was a time that it was being considered for sale at $200 Million in 2008 by suitor Google. Now, after alienating its uswers and changing itself so much that no one wanted to use it, it is being sold for a mere 1/2 million. “Digg Inc., a social-media pioneer once valued at more than $160 million, is selling for the deeply discounted price of about $500,000, three people familiar with the matter said. The buyer is New York technology development firm Betaworks, which is attempting to revive a news-sharing site that was outmaneuvered by Facebook Inc. FB -0.52% and Twitter Inc.
Digg confirmed Thursday it sold its brand, website and technology to Betaworks. The price is a pittance for a company that raised $45 million from prominent investors including Facebook investor Greylock Partners, LinkedIn Inc. LNKD +3.40% founder Reid Hoffman, and venture capitalist Marc Andreessen. Digg received higher offers from bidders that included technology and publishing companies and start-ups but ultimately decided Betaworks had the best plan for reviving its brand, these people said. In May, Washington Post Co. hired 15 members of Digg’s engineering team—more than half of the company’s overall staff—for its SocialCode digital media subsidiary. Betaworks is acquiring a website that still has a well known brand and sizable audience of more than 7 million visitors per month as of May, according to comScore.